First of all, phew!! That was much more hard of a slog than I ever thought it was going to be. 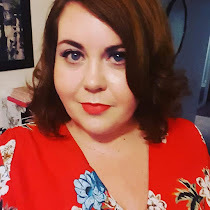 Posting every day, plus doing your normal blogs is damn hard work, especially also trying to juggle a full time job and some semblance of a social life! Thank you to all the other ladies involved in this challenge who took up the gauntlet with me. I think I managed to do about 27 of the 30 which isn’t bad, although I think Nikki from Natty Nikki has to do all 30 and I can only applaud. 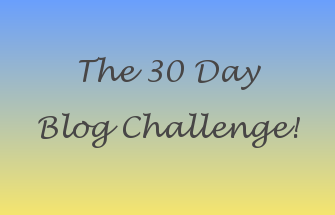 On the original list that I used, Day 30 was supposed to be entitled “Letting Go” whilst Day 31, which I didn’t notice (hence the name of the challenge) was “A Vivid Memory”. I am swapping these days around and stopping at Day 30. I will, along with a few others I bet, be falling to the floor in exhaustion after that many posts, and sharing that many things. In 2009 my best friends and I decided to go away for the New Year break to Portugal. This was the first really bad Winter that England had had and frankly we were grateful to be anywhere that didn’t have snow. On New Year’s Eve we decided to go out for a meal and a cocktail or two. After a cocktail or four we ended up at small local Portuguese bar, right near the beach a little before midnight. As New Year hit and fireworks were being set off on the cliff nearby, we decided to run down the beach to the sea (cocktail fuelled). I remember standing there, with my toes in the sea, happy, with my best friends and thinking that there was nowhere on earth than I would rather be. Now you will notice that behind us in this picture is a wave. We didn’t notice this wave until it hit us, covering us waist deep in sea water. Oops. It didn’t matter. We laughed, rung the sea water out of our clothes and went back to the bar for a drink, where the locals, bundled up in big coats called us “You crazy English”! We were. That’s part of why we get on so well. Check out the other ladies for the last time in the challenge. Thank you for reading. Aw what a lovely memory! I could just picture myself doing the same thing! Haha.